Learn how organizations are building a scalable data warehousing architecture for federated analytics. Hear about the latest release and "What's New" in Db2 Warehouse. Open, flexible, fast and simple hybrid data warehousing using a software-defined environment in a private cloud. IBM Db2 Warehouse is a preconfigured data warehouse that runs in private clouds and other container-related infrastructures. See how to bulk load data from a table in an on-premises Db2 database into a table in IBM Db2 Warehouse. Learn how top tier companies are using this new breed of data warehousing to increase year-over-year revenue. 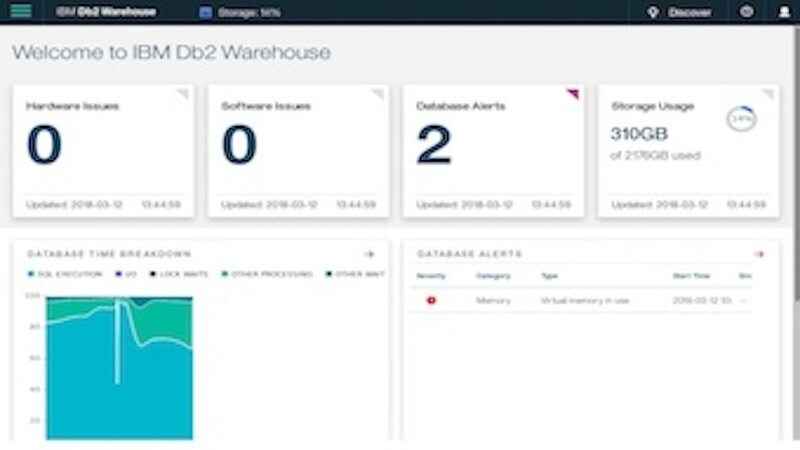 IBM Db2 Warehouse offers data warehouse solutions fully managed on a public cloud or as a client-managed on a private cloud. Read about the recent announcements and capaiblities for IBM Db2 Warehouse. This is a FORUM for ALL THINGS IBM Db2 Warehouse. Please post your questions and replies in this forum. A step by step walk through for setting up Db2 Warehouse on Linux (Ubuntu) using the image from Docker Store.